There have long been two sides to Martha Wainwright’s musicality: the singer-songwriter of her own distinction and the master interpreter of song. In the four years since her last solo effort, she’s seemingly emphasized the latter, playing the standards as a lounge singer in the Emmy-winning Olive Kitteridge; covering the work of Canadian songwriters (even translating her own) for the TV series Trauma; and releasing an album of family lullabies and folk covers with sister Lucy Wainwright Roche. Her latest, Goodnight City, merges these two sides, with inspired performances of both her own new work and contributions by writers as diverse as author Michael Ondaatje and Tune-Yards’ Merrill Garbus. Goodnight City starts off in familiar enough fashion. Lead single “Around The Bend” is the kind of raw folk Wainwright is known for, with frank admissions—“I used to do a lot of blow”—delivered in her beautifully unruly vocal style. But by the second song, Wainwright reveals this record’s life force, its tonal departure from past work. “Franci” is a downright buoyant declaration of love for her youngest son: “Everything about you is wonder,” she sings, relishing in simply repeating his name. Goodnight City, while every bit as emotionally cathartic and complex as previous records, is markedly lighter and more outward looking. And almost everything comes back to Wainwright’s children. A great deal of Goodnight City’s lightness comes from Wainwright’s dauntless experimentation with genre. Fevered rocker “So Down” rages with full-on New York glam, while the dark, cosmic twang of Beth Orton contribution “Alexandria” calls to mind Wrecking Ball-era Emmylou Harris. The lively, bass-driven shuffle of “Take The Reins” nods to its writer (Garbus) while offering Wainwright fresh territory to explore with a stirring falsetto. With few missteps (the clichéd “One Of Us”), Wainwright and her band have found interesting arrangements to showcase her incredible range as a performer. She gives herself over to each challenge completely, inhabiting a variety of aesthetics and personas that deserve album-length explorations all their own. But these are less personas than they are very real aspects of a multifaceted artist. The many perspectives on Goodnight City add up to a dynamic record that speaks to the power of letting others—be they family, friends, idols, alter egos—help pull us out of and realize fuller versions of ourselves. The cover of Goodnight City shows the artist looking two ways at once, clearly in transition, and Wainwright’s experimental spirit here suggests an exciting way forward. 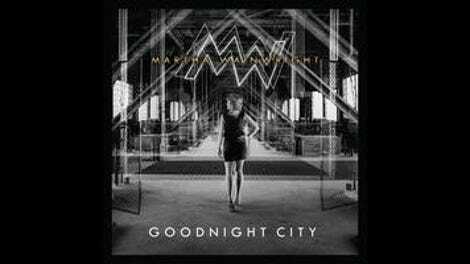 Purchasing Goodnight City via Amazon helps support The A.V. Club.